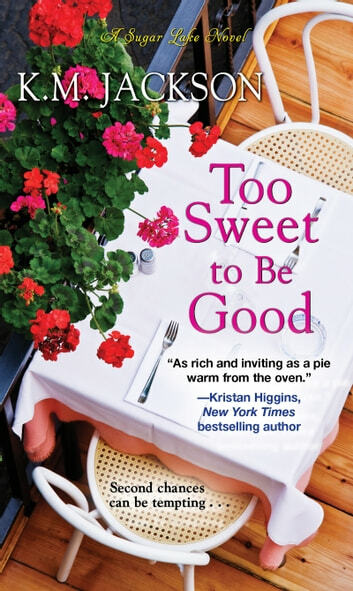 Between the bustling local bakery, helpful neighbors, and down-home wisdom, Sugar Lake is a delicious place to call home—and love is the sweetest risk . . .
Alexandrea Gale put her acting career on hold to help keep her family’s bakery in business—and gave it a few eye-catching updates while she was at it. To earn money to return to New York, she puts her design skills to work with a job renovating a once thriving local vintage theater. But Alexandrea didn’t bargain on the owner’s business-minded grandson fighting her every step of the way—or proving so unexpectedly irresistible . . .
As the new president of his family’s real estate business, Kellen Kilborn feels that selling the theater is the only way to do right by the grandmother who helped raise him. He just can’t take a risk on Alexandrea’s inventive ideas—but he also can’t walk away from her warm-hearted free spirit. As troubling decisions threaten to tear them apart, can they create a way to turn their dreams into the sweetest of futures together?